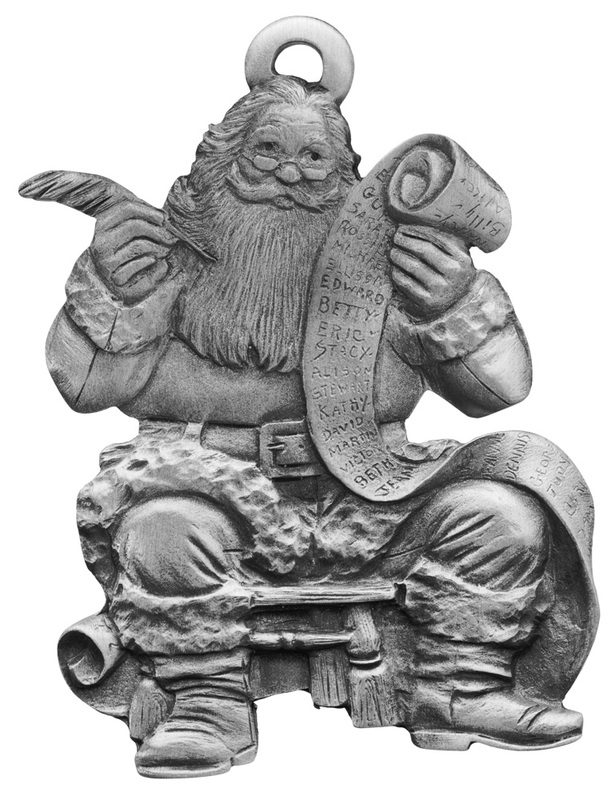 He's making a list, and checking it twice; Gonna find out who's naughty and nice, Santa Claus is coming to town. 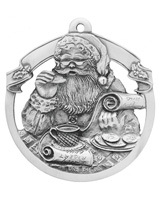 Our handmade pewter Santa ornament features Santa with a long list of names (all good of course!). 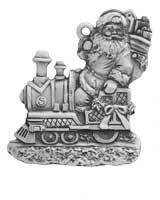 This Santa ornament will make a great gift or a lovely addition to your Christmas tree this year. 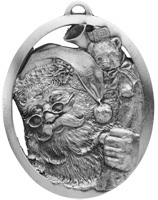 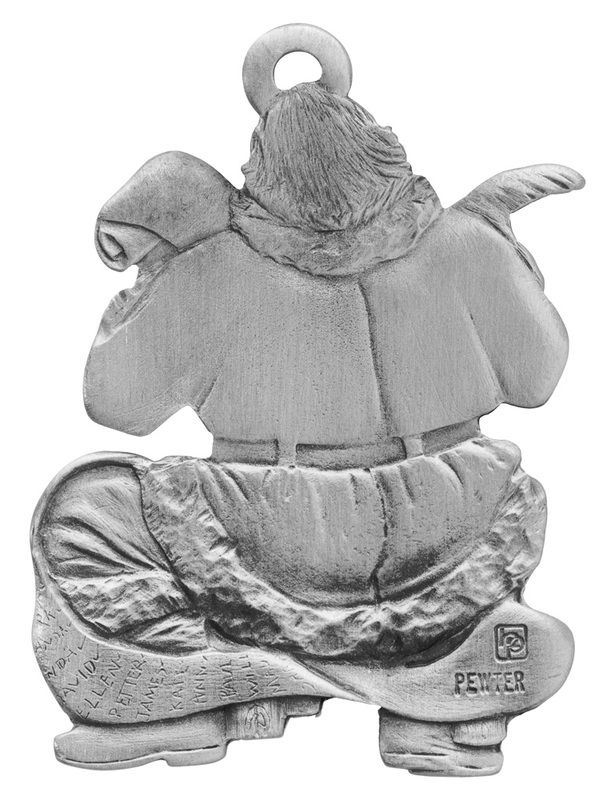 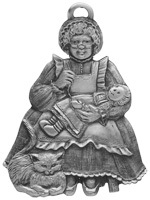 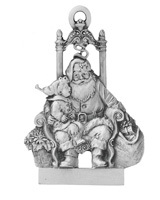 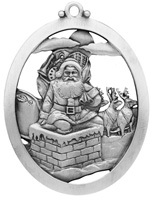 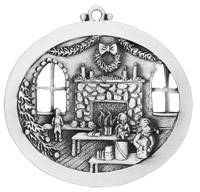 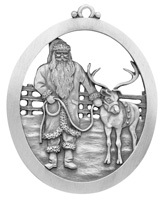 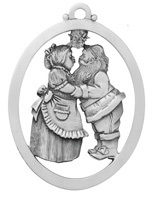 The Santa Making a List ornament has room to personalize with engraving. 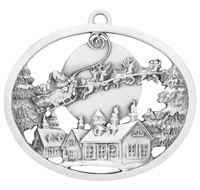 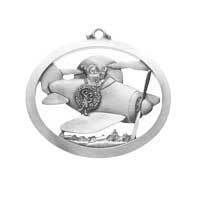 We can add the name of recipient and the year, or your own message on the back for engraving.